I.1. All the orders placed between 10 am and 6 pm plus five and half hours are processed the same day. Pre-order checks like information verification, inventory check etc. will be done on DAY 0 if the order is placed in this time slot. I.2. There is a region wise schedule of delivery planned for our patrons residing all over the world. I.2.1. Asia – 3-5 business days. I.2.4. All other parts of the world – Order will reach you in 7-10 business days. Please note: All above delivery time periods are subject to time required in completing customs procedures. I.3. Delivery will be made only at the mailing address registered with us. Request for changing the venue of delivering goods will not be entertained under any circumstances. 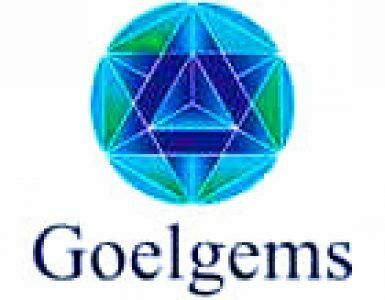 Still, if due to some unavoidable reason, you require to change the delivery point, you need to inform the same to us at goelgems@gmail.com. Courier company will not entertain any request unless intimated by us. I.4. You are requested to sign the acknowledgement slip without fail while accepting the parcel. I.5. If the parcel packaging is found torn or damaged at the time of receiving, kindly intimate the same immediately to our customer service centre. To serve you better, we advise you not to break the airtight packaging of the item if you find discrepancy. I.6. You are advised to use order no for tracking the order and all related communications. We have a dedicated back-up of professional courier services known for reaching to the customers worldwide in the flash of an eye. Our tie-up with SDA/UPS/FedEx ensures that delivery of your order is entrusted to the most reliable hands in courier industry. Our customer service is available 24 x 7 to help you find where your order is at any point of time. You can write to us at goelgems@gmail.com or alternatively Whatsapp +91-7827020780 mentioning the order number to check the shipping status. We offer free shipping to our valued customers. For better reconciliation, customers are advised to go through following table displaying the shipping charges for various parts of the world. We are able to reach to customers all over the world. Shipping charges for all other countries can be referred here. You can also visit our delivery partners’ websites – www.ups.com, www.fedex.com, www.sda.it – for any clarification. Your patronage is important to us. We would love to offer you free shipping for the orders valued above US$ 250. If your mailing address falls within Community of Europe, we extend our free shipping service for the orders valued US$ 500 and above. We understand the restraints of your busy routine and have advised our shipping partners to make sure that they call you up for confirming the delivery time before coming to your mailing address. In case, you fail to be present at the time of delivery, you can re-arrange for the delivery of parcel. In certain cases, if the consignee is not present to receive the parcel, it will automatically be redirected to the buyer. Company, however, will not be responsible for the delays caused by the courier company in delivering the parcel in such cases. We use the best of the bests packaging material to ensure that the product reaches you tamper proof packing. This packing is further covered from outside with sturdy covering for enhanced safety. As our valued customers, you deserve the most secured order packaging and we also see to it that we don’t falter on this point. We, at www.goelgems.com, however, are not responsible for any damage done to the product post-delivery of the packet.